Give your navel piercing a gorgeous new look with our unique Huggy belly button rings. 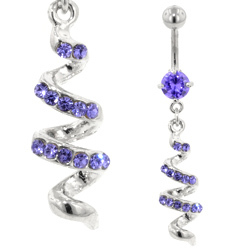 These belly rings were inspired by hoop earrings, but specially designed to be worn in your belly button piercing. 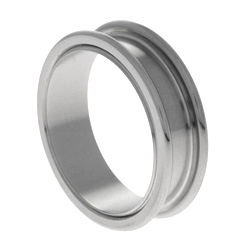 The result is a uniquely stylish ring with a simple hinged design that is easy to insert and remove. These belly button rings are very comfortable to wear and come in a choice of great designs, including the glamorous jewelled looks you can see below. All our Huggy belly button rings are made from high quality surgical steel and beautifully hand finished. 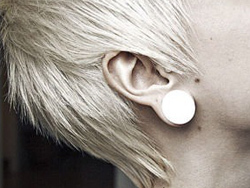 This means that they will not irritate your piercing and can be worn even in new piercings. 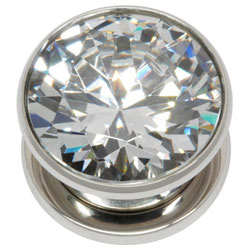 The surgical steel has a beautiful shine and they really light up your look. We all know about bananabells, but there are so many other options to wear in your belly button piercing. 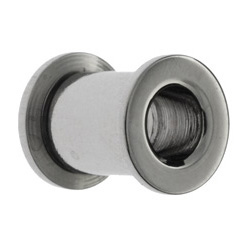 Here at BJS we have a great choice of alternative belly button rings, including the ones that you can see here. 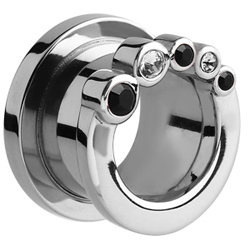 These are ball closure rings with gorgeous charms in place of the traditional ball. 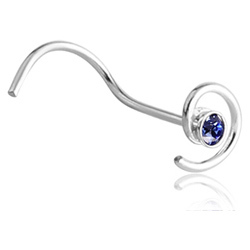 The designs are vey eye-catching and they make it easy to show off you piercing every day. This entry was posted in Belly (Navel) Piercings and tagged Belly Button Ring, Belly Button Rings, Belly Ring, Belly Rings, Huggy Belly Button Rings on May 7, 2014 by Piercing Guru. Elegant and stylish, our new silver heart belly bars are a gorgeous way to show off your piercing. These belly bars are beautifully made and finished, with a bright polish that really shines. 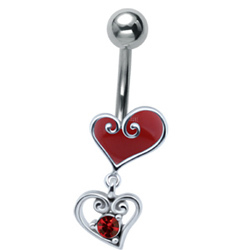 They feature silver hearts on a surgical steel belly bar. 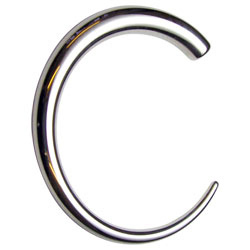 This means that you get the comfort of surgical steel, with the beautiful shine of solid silver. Surgical steel is non-irritating, lightweight and easy to clean, so these heart belly bars are very comfortable to wear. 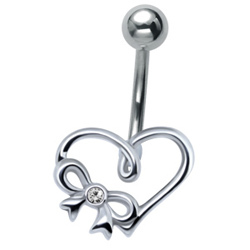 These silver bow and heart belly bars are simple but very stylish. They feature a silver heart outline with a bow and crystal. 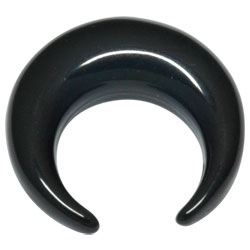 The rounded shape looks gorgeous and is easy to wear with any outfit. 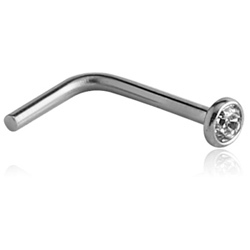 This belly bar echoes the shape of popular heart pendants, giving you the look of fine jewellery for your belly button piercing. Choose colour and shine with one of new silver heart drop belly bars. 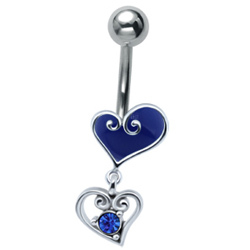 These belly button bars feature two silver hearts, one with smooth enamel colour and one with a coloured crystal. 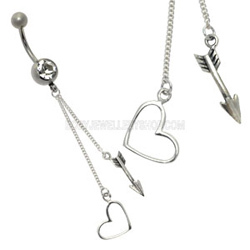 These belly bars are cute but stylish. They are very eye-catching and the colours really catch the light. Whichever colour you choose, they will show off your piercing in style. 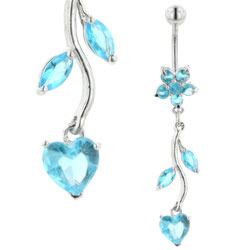 This entry was posted in Navel Bananabells and tagged Belly Bars, Belly Button Bars, Heart Belly Bars, Silver Belly Bars on April 16, 2014 by Piercing Guru. 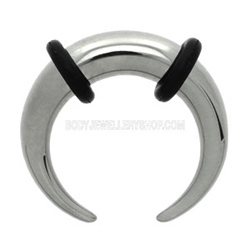 BCRs are an essential piece of body jewellery but they can also be very difficult to open and insert by hand. Thankfully there is a cheap and simple bit of kit that makes inserting a BCR much easier: ring opening pliers. 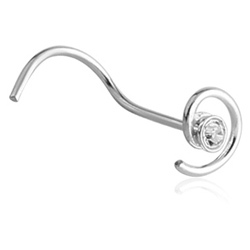 These pliers are specially designed for use with body piercing jewellery. 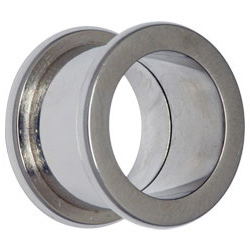 They make it easy to open ball closure rings of any size or gauge, so you can change your jewellery without having to visit a piercer. 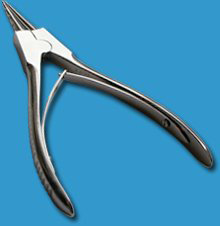 These are blunt-ended pliers, made from medical-grade surgical steel. They are high quality and great value for money – our ring opening pliers start at just £10. You can buy body jewellery pliers in three different sizes: small, medium and large. 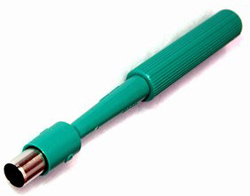 They all work in the same way, but can be used to open different sizes of BCRs. First make sure that the ends of the pliers are clean and dry. Insert the ends of the pliers into the middle of the ball closure ring. Gently compress the handles to open the ring. Open the ring just enough to free the ball. 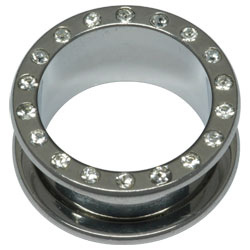 Remove the ball and insert the ball closure ring into your piercing. Closure the ball closure ring by hand, or by using ring closing pliers. This entry was posted in Body Piercing Tools and tagged Body Piercing Tools, Jewellery Pliers, Pliers, Pliers Kit, Ring Opening Pliers on April 9, 2014 by Piercing Guru.